Spice things up for your next office party or special event with Where’s Charlie? 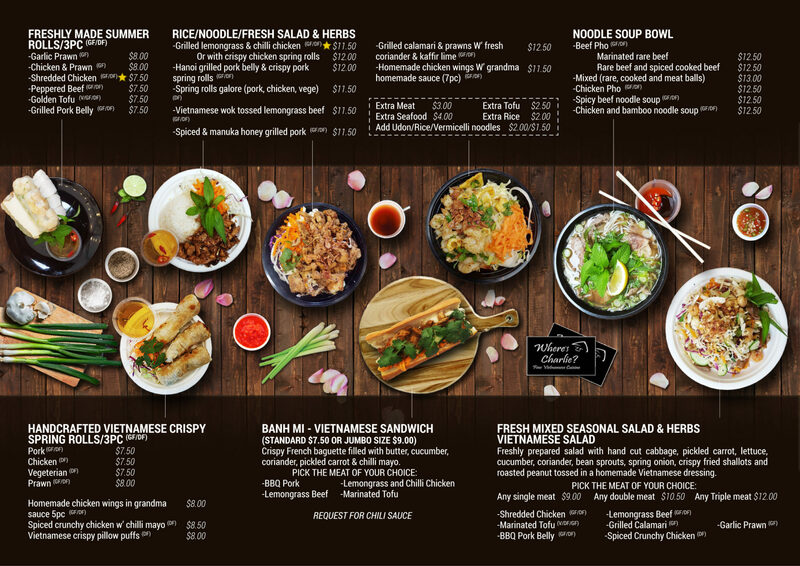 Catering and impress your guests with the delicious fresh flavours of Vietnamese food. Talk to us about catering for your next event today, just fill out the form below and we’ll get back to you. Click here to view our menu. 3When would you like delivery or dine in? Please let us know in the comment section.